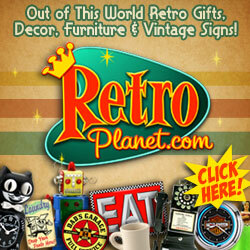 This page features links to other Classic Hollywood sites, retro living and more! From Brad Lang, the best overall site dedicated to Classic Films and Performers. A must see. Elizabeth’s site is a large index of golden Hollywood’s finest actors and actresses. One of the best produced series dedicated to the lives of celebrities, historical figures and more. Don’t surf without it. The absolute must place to visit when you need to find information on movies, new or old. Monthly magazine dedicated to preserving classic film. This blogger has an excellent site dedicated to the style and glamour of an era past! Meredy has a wonderful collection of trivia pages dedicated to classic actors and actresses. The Roger Richman Agency is the representative for many Hollywood classic personas such as Betty Grable, Mae West and Carmen Miranda. Showing great classic films 24 hours a day. Get a glimpse of the book that helped you get a glimpse of the stars in their bikinis. Doug Stickney has a wonderful gallery site with images of dozens of Hollywood’s finest sirens. A collection of pin-ups, actors and actresses and portraits from the golden era of Hollywood. Have fun at Jeff May’s Hollywood Canteen, where you can dress Rita Hayworth, listen to numerous audio clips and message boards. Located in Ely, Minnesota, these folks have a nice collection of posters and prints to choose from including Jen Harlow, Jayne Mansfield, Marilyn Monroe, Betty Grable, Rita Hayworth and more. If you’ve got a hankering to complete your collection, drop by this site and check out their impressive collection of various Hollywood memorabilia. Featuring vintage sheet music. Nice selection! Bringing you the best musicals from the ’40s. Highly recommended. They have wonderful prints and posters. Leslie does beautiful pastel work with classic images of actresses of the Art Deeco era. Roland makes wonderful pieces of artwork featuring albums, photos and other miscellaneous Hollywood movie memorabilia. For awesome vintage sewing patterns, drop by Mrs. Depew’s for great styles from the 1920’s – 1950’s. Featuring vintage sewing and knitting patterns, vintage clothing and lots more. The focus of this site is the understanding and appreciation of beauty in the natural world, in Western culture, and in other cultures both past and present. Very cool. 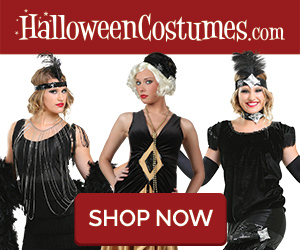 Wonderful site to purchase classic looking clothing in modern fabrications. Beautiful styles. My pick, teens, 30s & 40s! Featuring fine cosmetics and tips on vintage glamour looks. This is a small page with some ideas for re-creating a 1940’s hairdo. Sewing patterns for glamourous vintage styles. Ever wondered how to set your hair in pin curls or in giant Harlow-esque waves? Marci has some tips for you! Find awesome vintage dresses, lingerie, blouses and accessories! Find beautiful dreses, hats, purses and more from this little shop that featues vintage and vintage-inspired frocks. Links, information and details about the films, actors and actresses. Dedicated to the musicals from the late ’20s to the early ’30s. All Fox, all the time. I love Fox musicals. Dedicated to the true art of pinup This site has a wonderful collection. An illustrator who uses his talents to glorify actresses of the past. A collection of resources for curvaceous women, from classic to contemporary. Drop by this new site, which features pin-up illustrations of Marilyn Monroe in the style of the pin-up master George Petty. Comprehensive fan site dedicated to this classic dreamboat. A nice little article dedicated to the Boop-ster. Gorgeous page dedicated to Rita Hayworth. Great pictures. Wonderful site dedicated to Judy with biographical information, images, articls and more. Lovely site dedicated to the girl-next-door of the 40s. You can buy lovely paintings by the beautiful Elke Sommer. Gloria’s fascinating Hollywood past is recalled in this website and her books. The singer with the voice of gold, this is her official site. Known for her goergeous looks and her operatic singing voice, the beautiful Ms. Grayson has an official website featuring photos, a filmography and discopgraphy. The history and culture of corsets. Very pretty corsets, plus great tips on waist-training and choosing your perfect corset. These gals make some of the most gorgeous custom corsets on the block. A lovely corsetier out of the UK, they create splendid corsets of all shapes and sizes. They even offer wonder 2-for-1 specials on certain styles.